From 8 - 12 September NRF participated at Automechanika Frankfurt 2018, the world’s leading trade fair for the automotive service industry. 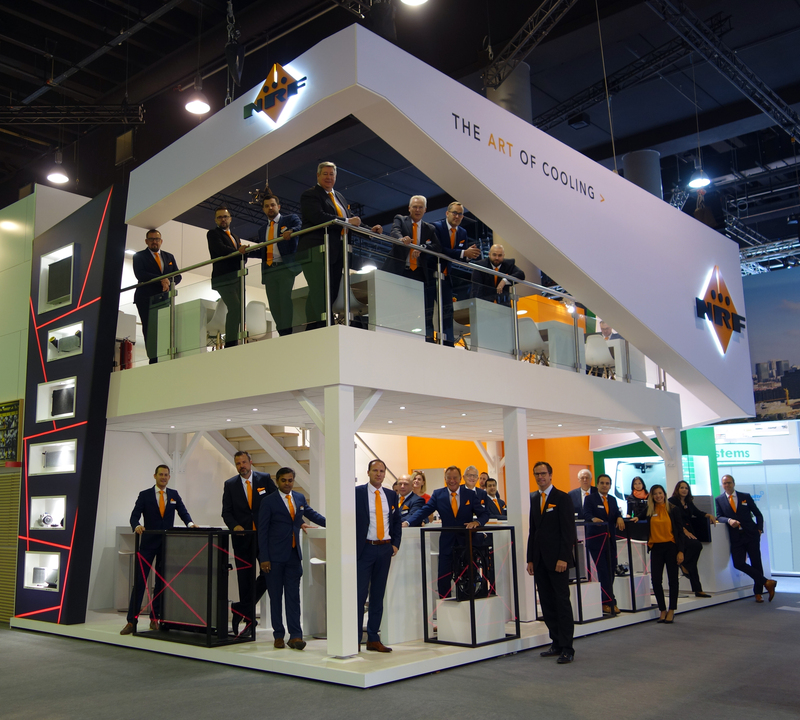 With a large two-storey stand and a crew of 30 international sales people, NRF was ready for a busy week. During the exhibition NRF focused on the introduction of new product groups and the range expansion of existing product groups. than 500 valuable customers and future partners in just 5 days time. a failure occurs, it is also possible to change only the compressor clutch. EGR cooler range expansion 2 years ago NRF introduced an EGR cooler range, being the first aftermarket supplier. Currently the range exists out of 67 EGR coolers for passenger cars, light commercial vehicles and trucks. The latest range expansion is the recent introduction of 2 new Scania EGR coolers for the P, G, R and T-series (EURO 4 / EURO 5). Also for these SKUs, NRF is currently the only aftermarket supplier of these parts.